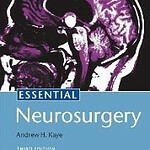 Andrew H. Kaye, Essential Neurosurgery, 2005. This is where you start. A very readable introduction to brain and spine disorders and treatment, written on the level of the medical student or intern rotating on the neurosurgery service. Buy it here. 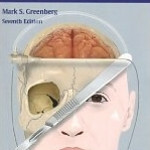 Mark S. Greenberg, Handbook of Neurosurgery, 2010. A thousand-page “handbook” can be pretty intimidating, but it actually fits in your lab coat pocket! It contains all the common neurosurgical problems you’ll have to manage, with plenty of cookbook formulas so you’ll know just what to order in patient care. Buy it here. 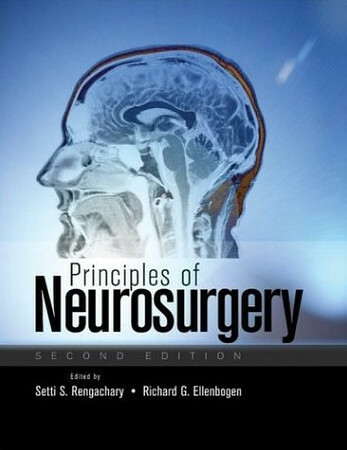 Setti Rengachary, Principles of Neurosurgery, 2004. Far more emphasis on brain than spine, this one volume introduction is chock full of charts, diagrams and drawings to give you the big picture of neurosurgical problems. Concise, readable, relevant, this one is a real pleasure to read. Buy it here. 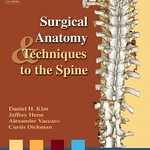 Daniel H. Kim, Surgical Anatomy and Techniques to the Spine, 2005. The pictures and diagrams are worth the price of the book, and in fact are included on a CD for handy electronic reference. I’ve even copied a page or two for patient education: “This is what will be done in your surgery.” Buy it here. And finally, just to keep you honest: You don’t have to buy Duane E. Haines, Neuroanatomy An Atlas of Structures, Sections, and Systems, 2004. You lost me at hello. Sorry. It’s like Netter’s Atlas on steroids: just too many named structures for a beginner. And that’s what this list is about.